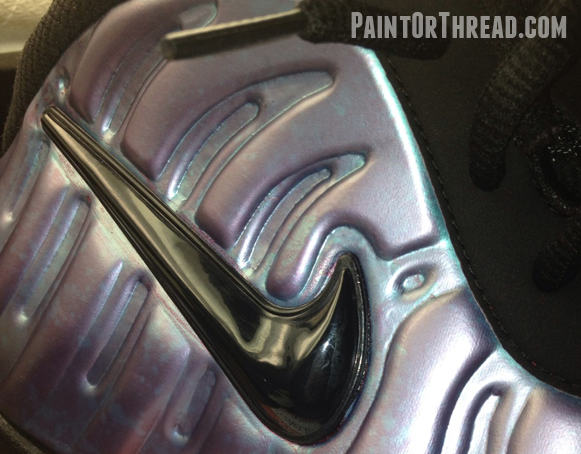 Lately, we’ve been seeing tons of custom Foamposite’s like the Dye Sole and Sole Swap but today, we have something a bit different for those that have been following the Foamposite custom scene. This custom Foamposite Pro has been given a custom upper using a Tye Die procedure, much like the sole on the Royal foam that we saw last week. As you can see the upper displays a range of colors delivered by the Tye Die effect as we would see on any surface. 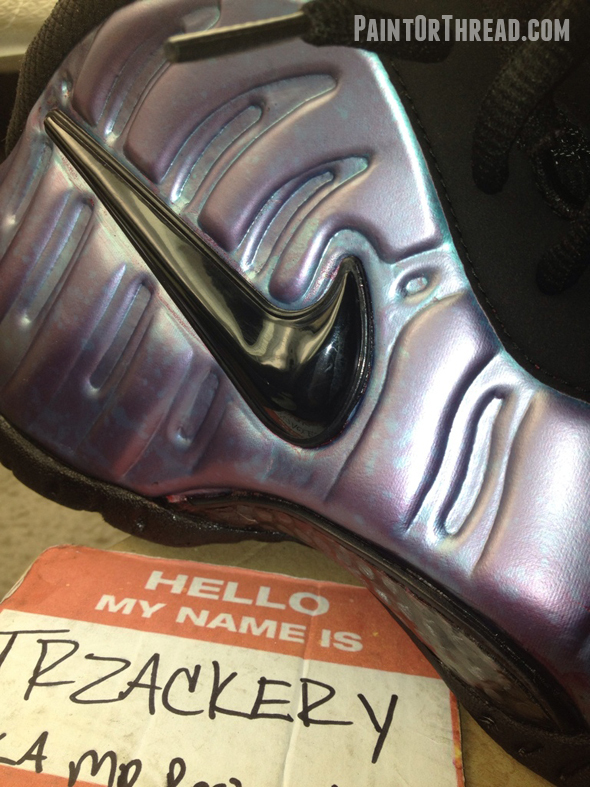 Check out photos of the Nike Air Foamposite Pro Tie Dye Custom by TRZackery after the jump! 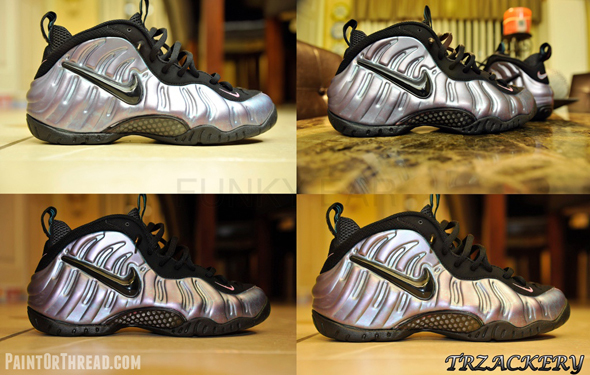 Reminds me of the 2008 Metallic Foamposite release but with a more of a Pewter touch with the tone of the silver dye. I like these more than the '08 and pewter release IMO. Nice job!